Depending upon who you talk to and when you talk to them, Ohio is either blessed or cursed as a water rich state. Droughts certainly occur, but in the past couple of years Ohio farmers have experienced record breaking rainfall both by measures of inches and intensity. As spring showers bring about a transition from winter to spring, we wanted to take a moment to look at Ohio’s surface water drainage laws. Ohio courts follow the “reasonable use” doctrine for surface water drainage. Under this doctrine, a landowner may drain surface water from his or her property in a reasonable manner. When a landowner’s attempts to drain surface water from his or her property seem to result in harm to the property of another, legal issues may arise. Courts and juries generally determine whether a landowner acted reasonably by looking at a number of factors, such as: the utility of the drainage, the gravity of the harm, the practicality of avoiding the harm, and whether it is fair to relieve the landowner of liability. These factors are examined and balanced on a case-by-case basis to determine whether the landowner should be found liable for the harm experienced by another. Certainly there are ways to resolve a dispute before resorting to a lawsuit. Landowners may talk with their neighbors to work out an agreeable solution. Landowners also have the option to work with the county Soil and Water Conservation District or county engineer’s office to file a petition for a drainage improvement project that would address the drainage need. For more information, check out our law bulletin on Surface Water Drainage Rights in Ohio, which is available HERE. It explains the “reasonable use” doctrine, describes how reasonableness is determined, and discusses remedies for harm caused by drainage. The 133rd Ohio General Assembly and 116th United States Congress have released their committee assignments for the upcoming legislative terms. Chamber leaders like the House Speaker or party leaders generally select committee chairs and members, but the members themselves often have an opportunity to preference their assignments. Below are the lists of representatives and senators on each of the agriculture-related committees, with brief biographies of committee leaders included. Ohio readers may note that the agriculture committees for the U.S. House and U.S. Senate only have one member each from Ohio: Representative Marcia Fudge and Senator Sherrod Brown. Chairman J. Kyle Koehler (R-Springfield). Representative Koehler is a third term member of the Ohio House, and received a Bachelor’s of Science in Computer Science from Wright State University. He worked for a number of years as a software engineer for government contractors, as well as working for his family business, K.K. Tool Company. Vice-Chair J. Todd Smith (R-Germantown). Representative Smith is entering his first full term as a member of the Ohio House, and is a pastor in his home community. Ranking Member Juanita O. Brent (D-Cleveland). Representative Brent is a first term member of the Ohio House, and has experience in non-profit and community engagement work. Chairman Frank Hoagland (R-Mingo Junction). Senator Hoagland is a first term member of the Ohio Senate. He owns a small business, and has nearly 30 years of experience as a Navy SEAL. Vice-Chair Brian Hill (R-Zanesville). Senator Hill is entering his first full term in the Ohio Senate. He holds a Bachelor’s Degree in Animal Science and an Associate’s Degree in Applied Science from Ohio State. Senator Hill raises beef cattle and grows crops on his family farm, and previously served as a Muskingum County Commissioner. Before entering the Ohio Senate, Senator Hill served in the Ohio House, where he chaired the House Agriculture and Rural Development Committee. Ranking Member Sean J. O’Brien (D-Bazetta). Senator O’Brien is a first term member of the Ohio Senate, and previously served three terms in the Ohio House. He holds a law degree from the University of Akron, and served as a prosecuting attorney for a number of years. Chairman Collin Peterson (D-Minnesota). Representative Peterson represents the western portion of Minnesota, which is predominantly rural and agricultural. He grew up on a farm, and was a Certified Public Accountant. He has many years of legislative experience at the state and federal level, and takes a keen interest in federal tax policy and conservation as it pertains to agriculture. Vice-Chair Alma Adams (D-North Carolina). Representative Adams’ district includes much of Charlotte, North Carolina and the surrounding areas. She taught art for over 40 years, and received her Ph.D. in Art Education and Multicultural Education from the Ohio State University in 1981. She has many years of legislative experience at the local, state, and federal level, and takes a keen interest in nutrition and education. Ranking Member K. Michael Conaway (R-Texas). Representative Conaway represents much of central Texas. He has a business background, having worked with former-President George W. Bush as the chief financial officer for Bush Exploration, an oil company. Chairman Pat Roberts (R-Kansas). Senator Roberts has served in both houses of Congress since the 1980s, and was the first person to have been the chair of both the House and Senate agriculture committees. His educational background is in journalism, and he served in the U.S. Marine Corps. Ranking Member Debbie Stabenow (D-Michigan). Senator Stabenow has served in both houses of Congress, and began her career in public service at the county and state level in the late 1970s. She has long taken an interest in agricultural issues, and serves as a co-chair of the U.S. Senate Great Lakes Task Force. As these committees take action over the next two years, we will do our best to keep you in the know. Stay tuned to the Ohio Ag Law Blog for updates. Hemp is one of the most talked-about provisions of the new Farm Bill passed earlier this month by Congress and signed by the President on December 20. There’s a lot of excitement about the removal of federal restrictions on hemp production and the economic opportunities for growing hemp. But what exactly does the Farm Bill say about hemp? Can Ohioans now grow, use and sell hemp and hemp products? We dove into the 807 pages of the Farm Bill Conference Report (available here for your reading pleasure) to find answers to your questions about the new legal status of hemp and hemp cultivation. Before we go much further in this discussion, it’s important to understand that both hemp and marijuana are species of cannabis, but they have different properties. Of particular note is the fact that marijuana contains much more tetrahydrocannabinol (THC) than hemp. THC is the part of a cannabis plant that can cause a psychoactive effect in certain concentrations, but hemp plants generally do not contain enough THC to produce a “high.” Hemp has many uses— it can be used for construction materials, fabrics and clothing, and animal bedding. It has even been discussed as a potential cover crop. Cannabidiol, or CBD, is a very popular extract of the hemp plant that is alleged to help those with anxiety, pain, inflammation, and other ailments, but not much research has been done to verify its effectiveness for medical use. Note that CBD is also an extract of the higher THC marijuana plant. First and foremost, the Farm Bill removes hemp from the federal list of controlled substances. Section 12619 of the bill removes hemp from the definition of marijuana, which is still an illegal drug under federal law. In the same section, the bill federally decriminalizes tetrahydrocannabinols (THC) in hemp. Not all hemp, however, is subject to this exemption. Only hemp and THC as defined in the Farm Bill and as grown under the conditions set forth in the Farm Bill are accorded the exemption. Assurances that the state has the resources to carry out the plan. A producer who wants to cultivate hemp in a State that has an approved hemp production plan must first comply with the State’s plan before beginning to grow hemp. Predictions are that it may take a State about a year to create its hemp production plan and obtain the required USDA approval for the plan. The second situation for growing hemp comes into play if a State or Tribe does not submit a hemp plan to USDA. In this case, as long as the State has not limited the regulation or production of hemp under state law, the Secretary of Agriculture for the USDA may establish a plan “to monitor and regulate” hemp production within that State. A plan established by the USDA must meet the same criteria as a plan written by a State, and the law also requires the USDA to establish a licensing procedure for producers. Thus, a producer in a State that doesn’t have a hemp plan could legally grow hemp by obtaining a USDA hemp license through the hemp regulations that the USDA will develop, unless the State has prohibited hemp cultivation. Section 10113 specifically states that it does not preempt or limit any state law that “regulates the production of hemp” as well as any state law that is “more stringent” than federal law in regulating hemp production. Thus, a State can outlaw hemp production within its boundaries or include additional restrictions and requirements in its State plan as long as the plan complies with the federal law requirements. What if a hemp producer doesn’t comply with the new law or with the State or USDA hemp production plan? Section 10113 also describes how violations of the law will be handled. If a hemp producer negligently violates a State or USDA hemp production plan, the producer could be subject to enforcement. One negligent violation of the plan would not trigger criminal punishment, but the violator would have to comply with a corrective action plan prescribed by the State or USDA. However, if a producer negligently violates a plan three times in five years, the producer will be banned from producing hemp for five years. Examples of negligent violations in the law include: not providing a legal description of the land where hemp is produced, growing hemp without obtaining a license “or other required authorization” from the State, Tribe, or USDA, or producing hemp with a THC concentration higher than 0.3 percent. If a producer violates a State or USDA plan “with a culpable mental state greater than negligence” (that is, purposely, knowingly, or recklessly), then the State or USDA must report the violation to law enforcement authorities. Furthermore, persons convicted of a felony relating to a controlled substance under state or federal law are generally barred from hemp production for ten years following the date of their conviction, with the exception of persons convicted of a controlled substances felony but lawfully participating in a pilot program under the 2014 Farm Bill. Finally, if a person falsifies an application to participate in hemp production, that person will be totally barred from producing hemp. The new law also allows for the interstate commerce of legally produced hemp and hemp products. Section 10114 says that a State or Indian Tribe cannot prevent the transportation or shipment of legally produced hemp through its state or territory. While a State may ban the sale of hemp or hemp products solely within its borders, it must allow hemp products to move freely through the State. For example, imagine that Pennsylvania allows hemp production but Ohio does not. Producers of legal hemp in Pennsylvania could not sell the hemp within Ohio, but Ohio could not prohibit a truck, train, or other type of transport from carrying the hemp through Ohio to a destination outside of Ohio. Importantly, the Farm Bill also addresses hemp production risk by amending the Federal Crop Insurance Act to include hemp. Section 11119 adds hemp to the definition of “agricultural commodities” that can be insured and section 11106 adds legally produced hemp to the list of crops that can be insured even after harvested. Other provisions in Title XI waive marketability requirements for researching hemp. Finally, section 7605 amends the hemp pilot program language from the 2014 Farm Bill (for information on the pilot program, see our previous blog post). The Secretary of Agriculture is tasked with conducting a study on the pilot program and submitting a report on the study to Congress within a year. Section 7605 also repeals the hemp pilot programs, but only one year after final regulation on hemp production under section 10113 is published. How does current Ohio law treat hemp production? What about hemp-derived CBD oil? Ohio enacted a medical marijuana law in 2016, although dispensaries in the state have yet to open (so far, only one dispensary in the state has been licensed). In order to obtain medical marijuana in Ohio, it would have to be prescribed by a physician with which the patient has a “bona fide physician-client relationship,” and the patient would have to have a qualifying medical condition. Medical marijuana can be prescribed and used in oil form under the law. Since Ohio law lumps hemp in with marijuana, this means that in order to obtain CBD oil derived from hemp, a person would also have to follow the steps to obtain medical marijuana. Hemp-derived CBD oil also does not fall under any exceptions in Ohio’s definition of marijuana. Ohio’s State Board of Pharmacy specifically stated in a guidance document that CBD oil can only be legally dispensed from a licensed dispensary. In releasing this guidance, the Board of Pharmacy is purporting to act under the rulemaking authority granted under ORC 3796.04. Note, however, that there are exceptions to Ohio’s definition of marijuana. According to Ohio law, marijuana “does not include the mature stalks of the plant, fiber produced from the stalks, oils or cake made from the seeds of the plant, or any other compound, manufacture, salt, derivative, mixture, or preparation of the mature stalks, except the resin extracted from the mature stalks, fiber, oil or cake, or the sterilized seed of the plant that is incapable of germination.” Since hemp falls under the definition of marijuana, it is possible that some of these exceptions could also apply to certain hemp products made from stalks or seeds. Thus, it is plausible that some hemp products could be sold and used in Ohio. The law also states, however, that no person (other than those licensed under the medical marijuana law) “shall knowingly cultivate” marijuana. Again, since hemp is part of the state’s definition of marijuana, under the law, that means that nobody can “knowingly cultivate” hemp, either. In sum, it appears as though some excepted hemp products could be sold in Ohio, but not CBD oil, as it does not fall under the exception. Even if some hemp products can be sold in Ohio, hemp itself cannot currently be cultivated in Ohio. The new hemp language in the Farm Bill allows states to be more restrictive with hemp than the federal government, so Ohio can continue its ban on certain hemp products even with the new federal law. The State cannot, however, stop the transportation of hemp across the State, as explained above. Conversely, Ohio’s General Assembly could remove hemp from Ohio’s definition of marijuana and redefine hemp according to the Farm Bill’s new definition, which could allow for legal hemp cultivation under the Farm Bill. For the time being, growing hemp in Ohio is not legal, but that is subject to change. Stay tuned to the Ag Law Blog for continuing updates on hemp laws! The Joint Committee on Agency Rule Review (JCARR) plays an important role in Ohio’s government. Its review of new and old rules assists in verifying that administrative rules are not duplicative, overly-burdensome, or costly. Among other things, JCARR also helps to confirm that rules in fact carry out what the legislature had in mind when passing the law. In fact, on Monday, December 10, 2018, JCARR will decide the fate of the controversial watersheds in distress rules (we explained the proposed rules in this blog post) prompted by Governor Kasich’s July 2018 executive order. The Joint Committee on Agency Rule Review, often referred to by its acronym, JCARR, was enacted by the Ohio General Assembly in 1977, and is codified in section 101.35 of the Ohio Revised Code. JCARR is charged with “review[ing] proposed new, amended, and rescinded rules” from Ohio’s administrative agencies. 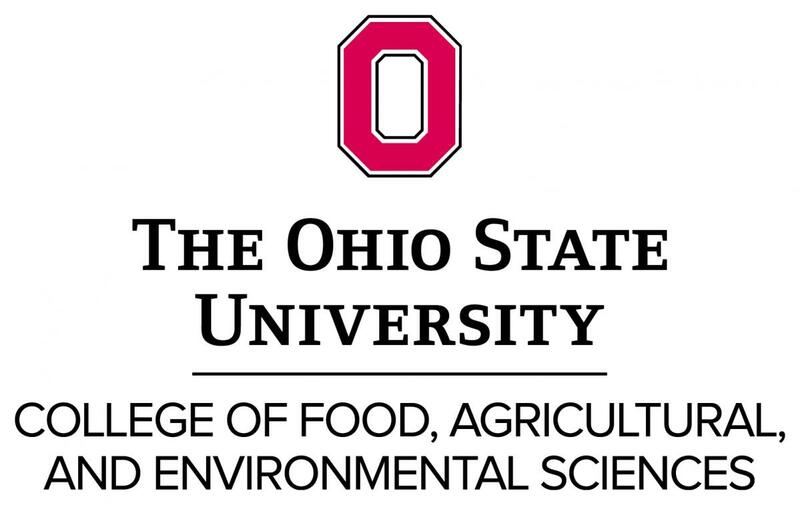 The state’s administrative agencies are numerous and include the Ohio Department of Agriculture, the Ohio Environmental Protection Agency, and the Ohio Department of Natural Resources, just to name a few. The administrative agencies are responsible for making the administrative rules to help carry out the Ohio General Assembly’s legislation. JCARR is made up of five members of each house of the Ohio General Assembly, meaning that five members from the house of representatives and five members from the senate make up the full committee. The speaker of the house appoints the five representatives, and the president of the senate appoints the five senators. The appointments must be bipartisan; each house may only appoint three members of the same political party. During the general assembly’s first regular session, the speaker of the house chooses the chairperson of JCARR from their house appointees, and the president of the senate chooses the vice-chair. During the second regular session, the chair and vice-chair are chosen in the reverse. If the rule has an adverse impact on business (Revised Code 52), the rule-making agency has demonstrated through the business impact analysis, the Common Sense Initiative office recommendations, and the agency’s memorandum of response to the recommendations, that the regulatory intent of the rule justifies its adverse impact on business. If a rule is found to violate any of the conditions listed above, a member of JCARR can move to recommend a resolution to invalidate the rule. The motion for invalidation must include the reason for the invalidation specifically based on one or more of the above conditions. The motion can be to invalidate the whole rule, or just part of the rule. If the motion for invalidation is seconded by another committee member, the members of JCARR can then vote on the motion. A majority of the committee is required to recommend a resolution for amended, revised, and rescinded rules. A two-thirds super majority is required to recommend a resolution to invalidate a no-change 5 year review. If a motion for invalidation passes JCARR, the rule is put into suspension, meaning the administrative agency cannot proceed with the rule. A member of the committee then writes a concurrent resolution about invalidating the rule. Then, depending on which house the writer of the resolution comes from, the resolution goes to the house of representatives or senate, where the body has five session days to act on the resolution. If that time lapses, or there is no majority vote within five days, then the resolution dies, meaning the rule would no longer be suspended. If the resolution does pass the first body by majority vote, it then goes to the other house of General Assembly. Again, in the second body, the resolution must be voted on within 5 session days and be passed by a majority vote. If the resolution does not pass or is not voted on, again, the rule comes out of suspension. Finally, if the concurrent resolution for invalidating the rule passes both the house and senate, the rule is invalidated. Administrative agencies in Ohio must review their administrative rules every five years. The first part of the review requires the agency to ascertain whether or not the rule has a harmful effect on business in the state of Ohio. If the agency decides that the rule does have a bad impact on business, then the rule must be sent to the Common Sense Initiative office (CSI). The CSI is charged with finding ways to diminish the effects on business. After the analysis of the effect on business, the agency decides whether or not the rule needs to be updated or removed. Upon deciding that a rule needs to be changed or removed, the agency must then file the rule with JCARR as a five year amended or rescinded rule. Then, JCARR goes through the process described above—the committee determines whether the amended or rescinded rule violates any of the six requirements, and if it does, the committee follows the process for rule invalidation. Should the rule be continued based on the intent of the statute under which the rule was adopted? Should the rule be amended to give more flexibility at the local level? Should the rule be rescinded or eliminated because of unnecessary paperwork? Does the rule meet the standards for incorporation by reference? Does the rule duplicate, overlap, or conflict with other rules? Is there a continued need for the rule? If the rule has an adverse impact on business, did the rulemaker demonstrate through the business impact analysis, CSI recommendations, and the memorandum of response that the regulatory intent of the rule justifies its adverse impact on business? If JCARR finds that one of the above questions was violated or not sufficiently addressed by the agency, then the committee can entertain a motion for invalidation of the rule, triggering the rule invalidation process discussed above. JCARR has an excellent website with informative videos and other information about its purpose and how it carries out the review process, available here. For a deeper dive into JCARR and the review process, the committee’s procedure manual is also very helpful.